Called scoliosis lateral curvature of the spine that occurs mainly in childhood. If the parents to notice the change of posture of the child, to correct this defect is not difficult. One of the best and effective methods of treatment of various stages of scoliosis remains a therapeutic exercise. Physical therapy is a physical complex of measures that is used in the treatment and prevention of diseases. The danger of this disease of the spine is that without proper treatment, scoliosis is complicated by severe deviations of functions of internal organs. The causes of scoliosis are many, but each of them leads to the disruption of the muscle corset that supports the spine and gives it posture. If You have been diagnosed intervertebral hernia, we read about the causes and ways of treating it. The spine may deviate to the right or to the left. In addition, for various degrees of scoliosis in this classification has the value of the deflection angle from the axis of the spine. Scoliosis of 1 degree. The angle of 1-10 degrees, which is almost invisible. Many doctors believe this degree is a normal variant that is easily corrected with exercise. Scoliosis of 2 degrees. The angle is 11-25 degrees. This is the stage that still can be corrected by the use of special exercises. You must know that if this stage of scoliosis is not timely corrected, it progresses rapidly to stage 3, heal that much more difficult. 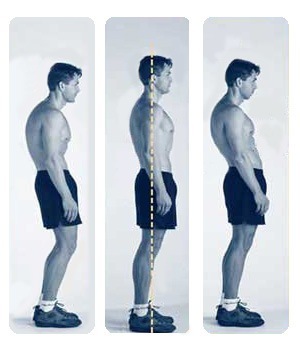 3 degrees of scoliosis, in which the deflection angle is equal to the correspond 26-50 degrees. This stage is difficult to treat and causes problems for physicians. Scoliosis 4 degrees, where the angle is greater than 50 degrees. This degree of scoliosis is severe and fortunately rare, only 10% of cases. Typically, the formation of the child’s spine and the entire body ends up to 20 years, so it is important to use the exercise therapy in children, when therapeutic effect is effective. A set of exercises most relevant when the curvature of 1-2 degrees and is the main form of treatment, while grade 3-4 scoliosis this method is only a helper. improving the General condition of the body. The complex therapy includes techniques such as massage, physio — and manual therapy, exercises, yoga and swimming. The combination of all these methods in the early stages of scoliosis allows you to achieve results in the short term, to prevent functional disorders of internal organs and to eliminate all the defects of posture. Need to know what methods of treatment and individual complex of exercises to choose should only be a specialist. Exercises in physical therapy can be performed at home, but under the mandatory supervision of a physician. Self-medication without supervision may complicate the disease and lead to irreversible consequences. This complex is aimed at strengthening the muscles of the spine and a correct posture. Among the exercises directed against scalise there are separate exercises: in standing position, lying on her back and stomach and standing on all fours. A necessary condition of the exercise is their daily rhythm, which should be a new and good habit. Exercises for the legs it is recommended to alternate with exercises for the shoulder girdle. Each of the required exercises performed 10-15 times, but when the pain can begin with a smaller amount. Perform walking on the spot, trying to keep straight posture. Rise on toes and your hands as high as possible, then slowly let it down. Pull hands up, but the feet remain on the floor, slowly lower hands. In the supine position, pull your right elbow toward your left knee, then change position. Pull each knee to the chest alternately, fix it, count to 5, slowly lower. Fixing the hands on the floor, raise both your legs and slowly try to tilt them to the left and then to the right. Slowly raise the legs bent at the knees to your stomach and do a single clap of your hands behind the knees. Pressed shoulder girdle tightly to the floor at the same time pull the legs and back and count to 30. Stretch the hands in front of you, then lift legs from the floor at the same time pull the back muscles, locking in this position for a few seconds. You can swing back and forth. Hands joined in the castle behind head, then try to slowly raise your head up and bend to a position fix in a few seconds. Lean ahead on the palms of the hands and alternately raise each leg as high as possible off the floor. Straighten your right hand and pull it forward while your left foot raise and fix in this position the body for a few seconds. Flex the back muscles, while trying to raise his head as high as possible, fix the bend as the back for a few seconds. Raise the back, while trying to reach the right knee to the head, then slowly change your leg and repeat the movement. Selection of exercises selected for each patient based on the underlying, but are adjusted for patient age, localization of the scoliosis (thoracic or lumbar), stages of scoliosis. Pay special attention to is necessary in patients with S-shaped curvature of the spine, which take into account exercises for the thoracic and lumbar spine. To prevent the occurrence of scoliosis, should be taught from childhood to your child the rules of a healthy lifestyle, which includes morning gymnastics, sports, introduction in the diet of more healthy foods, balanced nutrition, enriched with vitamins, minerals and proteins. One of the best methods of prevention of scoliosis is considered to be swimming, since this sport uses both hands equally and strengthens all the back muscles. It is necessary to remember that the sooner you install a diagnosis and begin treatment, the easier it will be to carry out all remedial measures and to achieve a successful outcome. Don’t forget that the process of scoliosis treatment takes quite a long time and will require all your patience and endurance to return the child the correct posture. Video benefits. Physical therapy exercises for scoliosis correction.